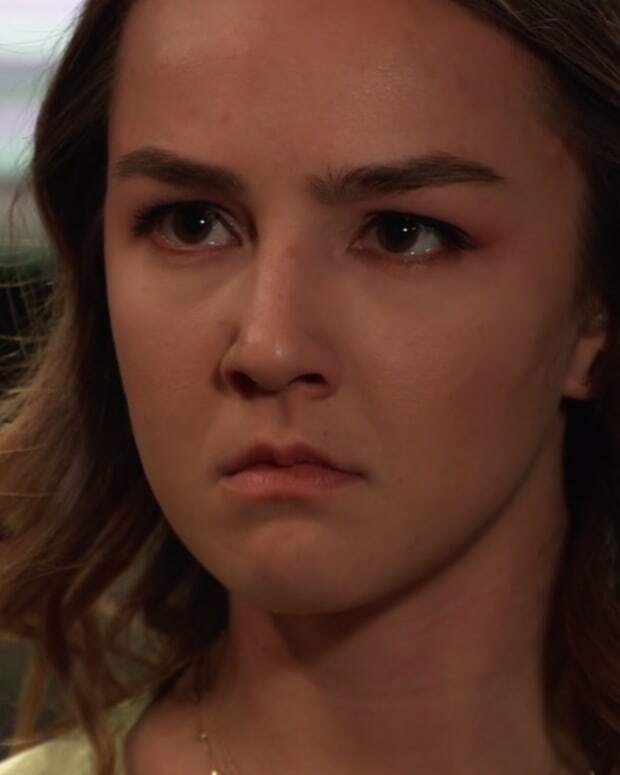 Kristina tells Shiloh that she has the money to get into the higher trust group. He says he&apos;ll set up the meeting for tonight. 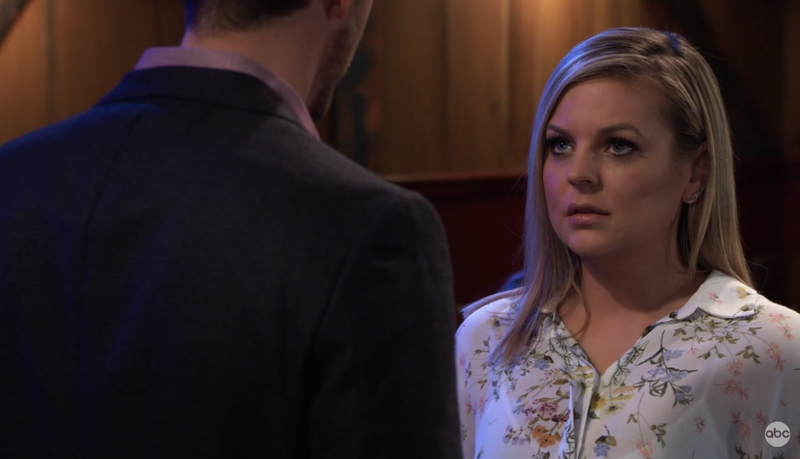 Maxie admits to Peter that she has feelings for him, which is a first since Nathan. Peter says he has feelings for her as well, and the two share a kiss. Finn wants to propose, but Anna is distracted by the lovebirds and not paying attention. Robert shows up with information on Alex. Robert says Alex lied when she told Anna about the wrong memory. Turns out the Boris ambush was done by Anna. Anna figures the true memory must be a big one for Alex to try and con her. Jason worries that if they wait to do anything about Shiloh, that things will get worse. Sonny is still worried about the fallout for Kristina. Sam arrives with the update that Margaux is having sessions with Shiloh. She says she hasn&apos;t found anything to use against him yet. Willow&apos;s upset about the meeting with ValNina. She complains to Chase that she&apos;s afraid she&apos;ll lose her job. She admits she doesn&apos;t like Nina and wonders if that made her biased against Charlotte. Alexis runs into Neil at the Rib. She tells him that Kristina is in a cult and she&apos;s freaking out. Neil tells her Kristina is an adult and she can do whatever she wants. He adds if Alexis pushes, Kristina will resent her and turn more towards DOD. Neil tells her to plant seeds of doubt in Kristina&apos;s mind so she sees things for herself. Lulu arrives at the bar. She tells Maxie and Peter that she&apos;s leaving town, but promises to come back when she&apos;s better. Peter offers to keep her employed while she&apos;s gone and suggests she write a book about her ordeal with Ryan. 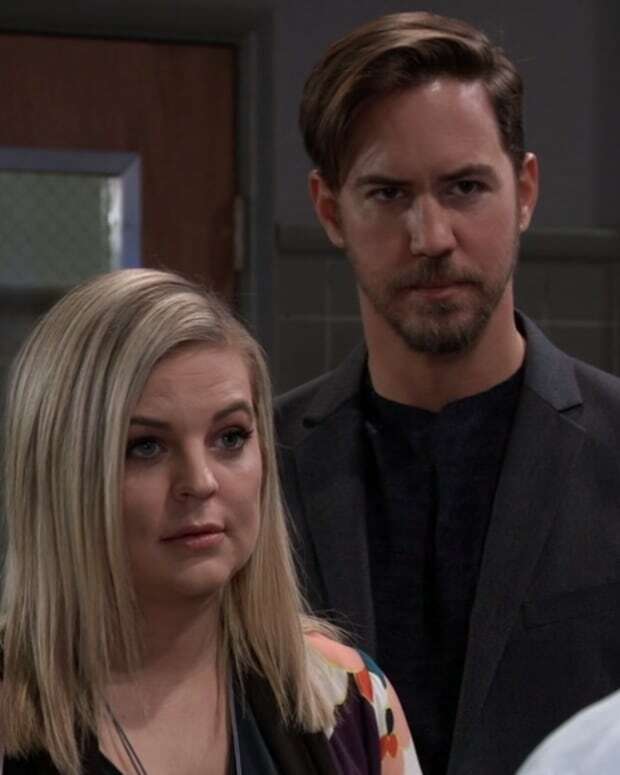 Maxie and Peter share another kiss, which Lulu witnesses, so she asks Maxie about it. Maxie says everything is new, but she&apos;s giving it a try. Shiloh interrupts Chase and Willow to say he has something for her. Chase warns him he can arrest Shiloh for harassment, but Shiloh pulls out a photo of him and Willow. He says she was happy then and trusted him with her secrets. Willow wants nothing to do with the photo and tears it up after Shiloh leaves. Chase asks what happened to Willow at DOD. Willow says Shiloh can manipulate you into thinking whatever he&apos;s doing is your idea. She says she needs to rid herself of this, and shows Chase the tattoo. Sam returns to the DOD house and tells Kristina she wants another session. Kristina is thrilled and tells Sam she is also coming along in the house and that something big is happening for her tonight. Harmony and Daisy arrive to prepare for tonight. Sam tries to get Kristina to tell her what it is, but she&apos;s tight-lipped. Sam pretends to leave, but lets herself back in to snoop. Jason tells Sonny that Shiloh charges for his sessions. Sonny doesn&apos;t believe he&apos;s making all his money from tuition and wonders where the money is coming from. Jason thinks they can get Shiloh on extortion. Neil shows up to talk to Sonny.